Each year, hundreds of local children smile to see Detroit Mercy Dental’s Titans for Teeth Mobile Clinic drive-up to their school. 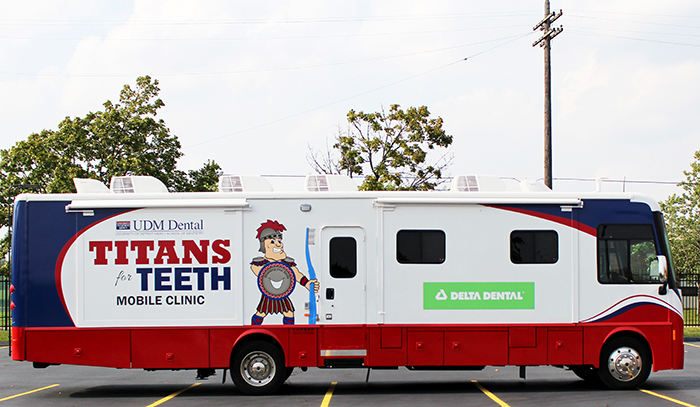 The 38-foot mobile coach decorated with a heroic Tommy Titan is home to a dental clinic that sets up on-location at participating K-12 schools. Through this mobile program, children are treated by dental faculty and students. Because many of the children who participate in Titans for Teeth have never been to a dentist, the program has proven to be important to the children it serves; children like Hussam. 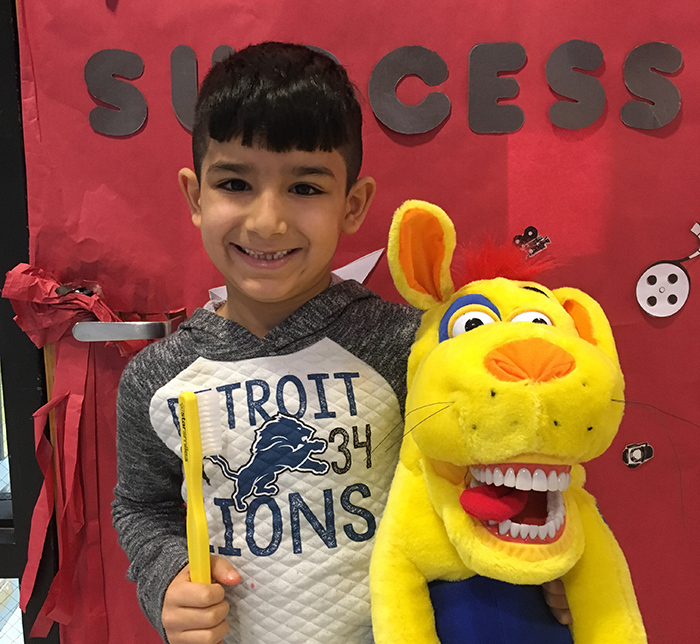 Hussam is an immigrant student at a local elementary school that participates with Titans for Teeth. The condition of Hussam’s mouth was poor, and he was in discomfort. He could not concentrate in school and because chewing was painful, he could only eat only certain foods. Hussam needed quite a bit of treatment, but his parents said he was enthusiastic to try something new so he could start feeling better. Shortly after a screening, dental students got to work helping to address Hussam’s oral conditions. Ibrahim Dawood, D.D.S. ’18 was one of Hussam’s main providers. Hussam is now feeling much better, enjoying food again and excelling in school. His story is just one of the many that demonstrate how tremendously helpful mission-driven initiatives like this are to a community that may not otherwise receive care. That’s why the School of Dentistry strives to improve the health of children and members of our community, leading patients to success, one smile at a time.